Join the Brotherhood Hunters in an exciting adventure in the ruins of a lost world! Fascinating and dark fantasy world of dark, horrific monsters and exceptional weapons! Let The Hunt Begins! After the invasion of Shadows to our world – mankind has been almost completely destroyed by monsters that have arisen at the time of the merge of the worlds. The world is destroyed at the base, and the Brotherhood Hunters – the last who can still fight and try to stop the invasion of Shadows. 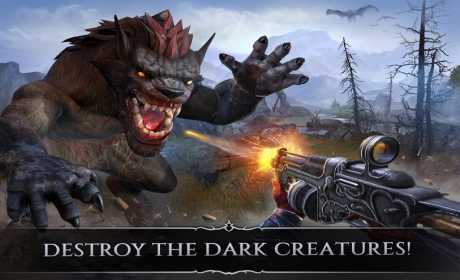 Due to the smart management and excellent animation – offers breathtaking battle! 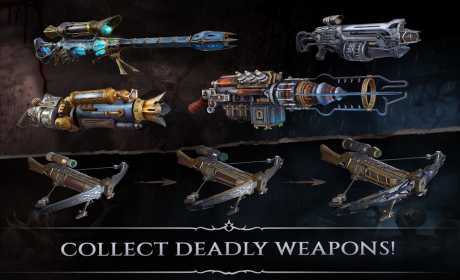 At your disposal are crossbows, bows, shotguns, magic staffs and unique samples of experimental weapons! Connect with other hunters, sharing resources, and inviting them to access the most difficult test!